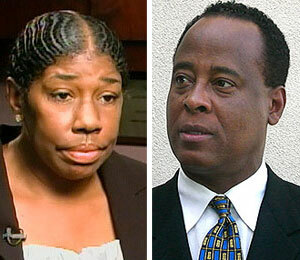 Cherilyn Lee, one-time nurse to Michael Jackson, is challenging the validity of Dr. Conrad Murray's sworn account on the day Michael died. According to the search warrant affidavit, Murray suggested to authorities that Lee gave Jackson the propofol cocktail -- a suggestion that Cherilyn vehemently denies. She tells "Extra" that she only gave Michael vitamins, saying, "Working with Michael on a nutritional level -- this is what I was doing," Lee says. "Just vitamin and nutritional therapy." Cherilyn tells "Extra" she believes criminal charges will be filed against Murray.